The searches were spread across three residences of former Social Welfare Minister Manju Verma in Patna and one each in Motihari and Bhagalpur. The minister had accepted her husband used to speak to Brajesh Thakur. 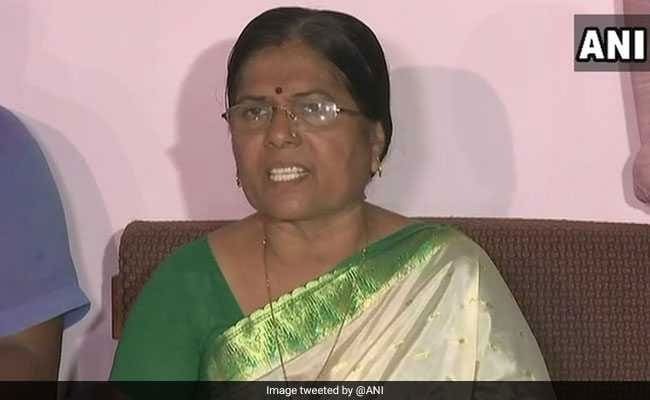 In an early morning operation, the CBI today started searches at five premises of former Bihar Minister Manju Verma in connection with the Muzzafarpur shelter home abuse case, officials said. In addition to five locations, search operations are also underway at seven premises of Brajesh Thakur, who ran the NGO, his friends and relatives, they said. The searches were spread across three residences of former Social Welfare Minister Manju Verma in Patna and one each in Motihari and Bhagalpur, they said. Ms Verma had resigned last week following allegations that her husband was a regular visitor to the girls' shelter home where minor girls were being sexually abused. What appears to have precipitated her resignation was media reports that examination of mobile phone details of key accused Brajesh Thakur showed that he had spoken to her husband 17 times from January to June this year. Speaking to the media from a prison van in the court compound at Muzaffarpur, Thakur had admitted that he used to speak to the minister's husband, Chandeshwar Verma, but it was "on political issues". "It is alleged that officials/employees of the shelter home used to mentally, physically and sexually exploit girl children residing at the said home," CBI Spokesperson said.